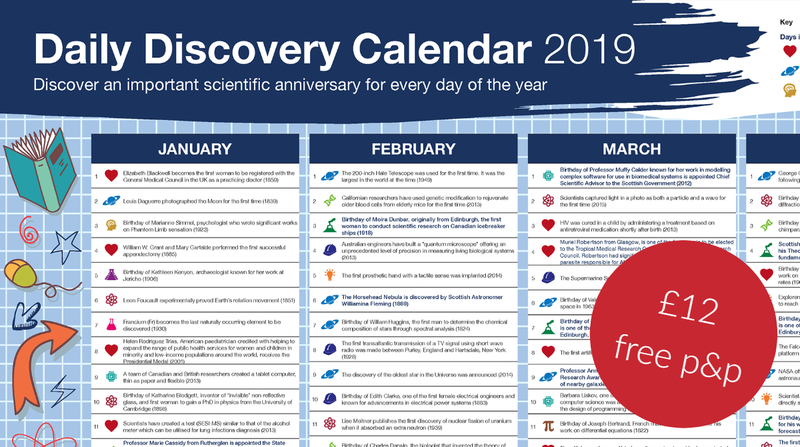 Packed full of science facts for every day of the year, our new Daily Discovery A1 calendar wall chart is great for science loving kids and grown ups too! Get yours for only £12 delivered. PLUS for every one bought we will donate another to a school of your choice in Scotland! This calendar is only available to buy direct from us and will only be on sale for a limited time, so don’t miss out! We less than 30 left in stock so order today. Not only will you receive a fantastic calendar with a science fact for every day of the year – your purchase will also support sending another calendar to a school in Scotland. Alternatively if you don’t wish to buy one of your own but would like to donate to a local school – we also have an option to donate two instead. For £12 we will send two calendars to a school in Scotland. Click here to donate two calendars to schools. For each day of the year our calendar features the anniversary of a scientific discovery or birthday of a prominent scientist. We have anniversaries from physics, astronomy, earth science, computing, healthcare and many others! 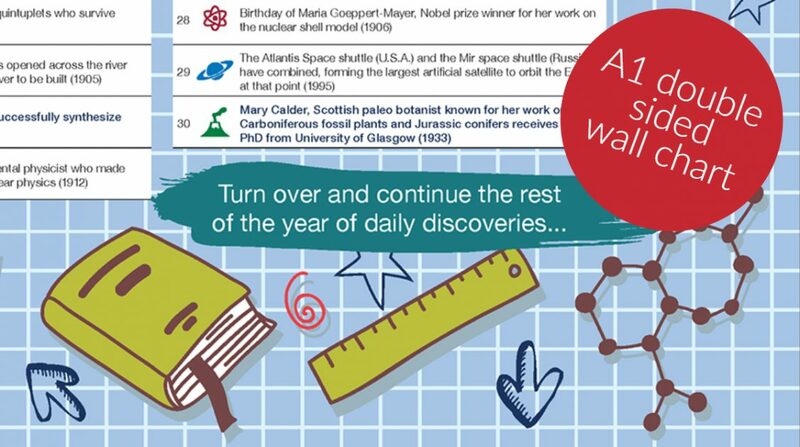 Our calendar features an equal number of female and male scientists and pioneers. 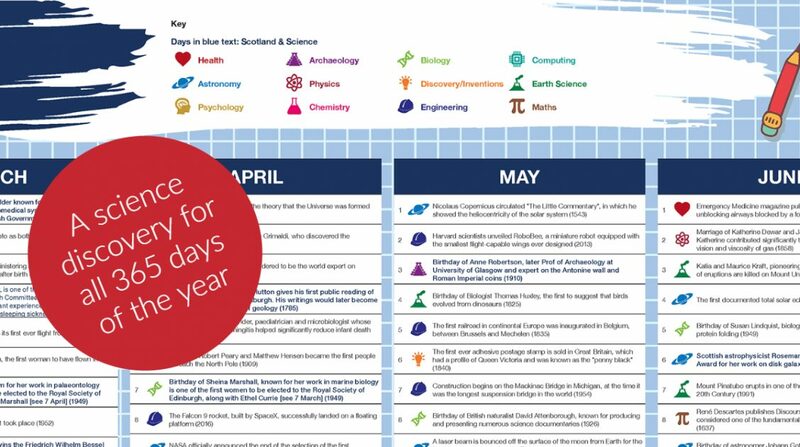 From mathematician Mary Sommerville to geologist James Hutton, our calendar also highlights over 50 prominent scientific discoveries and scientists from Scotland.